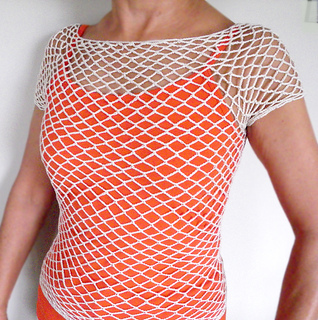 This mesh top looks great thrown over a cami. It is made, top-down, in the round, with raglan shoulders and shaped body. 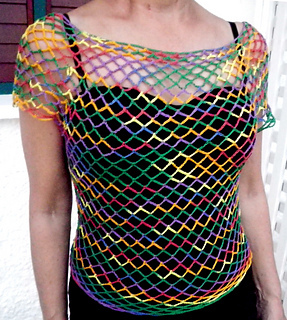 Made small, it will be tight and fitted. Made large, it will be slouchy, off-the-shoulder. 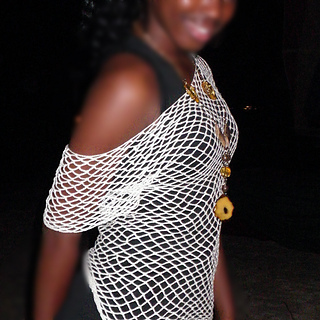 After making a circle of loops, the number of loops is increased through rounds to the underarm. Then body is separated from arms and continued in the round. 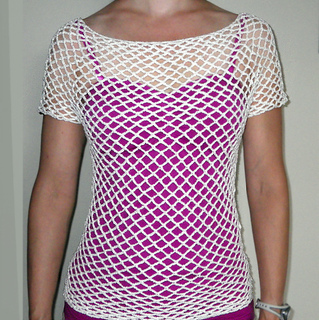 See other projects for modifications to yarn, and to the number and size of loops.